MOBOTIX AG, a leading manufacturer of digital high-resolution, network-based video security systems has released details of a project at Wm Morrison Supermarkets that is helping to secure access and reduce management complexity across 40 critical sites supporting the retailers "farm to fork" business strategy. Mothercare, the UK's leading retailer of baby equipment, clothing and toys, has installed a pilot of the new SecureSeal Logger system on its trailer fleet. This wireless, self-powered device enhances the functionality of the industry standard SecureSeal Data reusable seal used on each trailer door to provide an automated audit trail of security sealing to Mothercare's loss prevention team. 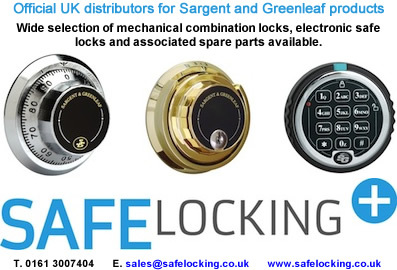 The mechanical lock industry is experiencing an increased penetration of Chinese suppliers into the international market and despite the growing popularity of access control systems driving the adoption of electronic locking devices, mechanical locks are not projected to falter any time soon. Lockdecoders Ltd now exports its specialised auto locksmith tools to 45 different countries. Founder and Managing Director Peter Southern confesses that it is hard work trying to expand export markets. Apart from UK trade shows Peter has this year so far visited France, Morocco, Italy and the USA. The Roto Samba handle is a functional operation mechanism and a discreet design object in one. It finds exactly the right balance between classical and modern aesthetics, allowing it to blend perfectly into any interior design. Intelligence agencies are working with airline experts to improve defenses against cyber attacks which could be used to bring down a plane. A new program involving government and aviation employees has been set up outside Washington DC as security experts warn the current systems are vulnerable to attack. Currently, a hacker could bring down air traffic control systems, break into navigation equipment or even potentially take over the controls of a plane. Following the success of the shallow mount static bollard the Mantis, Heald announces that the new, stronger Mantis 80 bollard has been successfully tested to arrest a 7.5 tonne truck travelling at a speed of 50mph (80kph). Like its little brother, the Mantis 80 is available with a range of stylish stainless steel covers, allowing architects and designers a much greater degree of freedom to integrate perimeter security with modern buildings and landscaping. 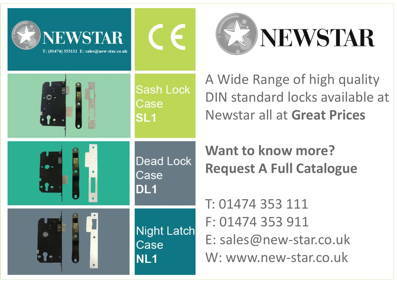 The only annual Lock and Security Exhibition, now in it’s sixth year, has announced the dates for 2015: the weekend of the 8th and 9th March 2015 at the East Midlands Conference Centre Nottingham. Stand pre-booking has been at a higher level than previous years, giving testament to the popularity of this show by exhibitors and visitors alike. So far around 30% of exhibitors have reserved their spaces from 2014. Exeter-based national company LockRite Locksmiths Ltd, were awarded the ISO 9001 accreditation by QMS International plc. LockRite add the prestigious quality management award to their existing CHAS (Contractors Health & Safety Assessment scheme) accreditation. LockRite who were founded in 2007, have grown during the worst recession in recent memory, to become probably the largest uniformed network of Locksmith engineers in the UK, with over 70 franchised outlets. Traka, the key management specialist, has helped a large car Supermarket save money by implementing a solution that helps the company keep track of the location of thousands of keys. Unbeatable Cars, a large car supermarket, operates across two sites in Portsmouth and Crawley, and were finding its previous manual system to be slow and inefficient. Urmet, the UK's leading door-entry and access control manufacturer, introduces its easy-to-use access control solution that operates via GSM. The intercom units, which are available with Urmet's award-winning S-Steel panel, use a SIM card for communication and access control. When activated, a call is established to a pre-designated number - either a landline or a mobile telephone - creating a line of communication and giving the user the ability to open up to two access points. They may be good for hardware trade but are love locks on bridges romantic or a menace? Critics say beautiful bridges are being blighted by an epidemic of ugly padlocks "spreading like fungus". But is the growing trend for love locks really a thoughtless act of vandalism, or just a harmless expression of love? It seemed romantic when Carolyn Barnabo and Clive Roberts attached a padlock to the Pont des Arts and symbolically threw the key into the Seine. The firm had already scooped the RoSPA Silver Award last year and achieved the jump to a Gold Award in just a year by reducing the annual number of reportable accidents by 38%. Meanwhile, on the road, Evander's continuing drive to improve safety standards across its fleet saw the company achieve a 51% accident and incident cost reduction in the first 18 months, going from a monthly average cost of £11,981 in 2012 to £5,870 in 2013. Fire crews had to be called to Exmouth seafront on Sunday after a member of the public became stuck in the new public toilets. A fire engine was sent to Queens Drive to release a person locked in after an electronic lock had failed. Crews used small tools to release the person. The new toilet block was opened on the seafront only last month. Electronic gadgets capable of hacking into a car's security systems are enabling thieves to steal thousands of cars with the minimum of effort. Sky News reported that half of all car thefts in London last year were carried out without resorting to force, such as smashing a window or intimidating the owner. Experts warned the problem is deepening, with 21,000 cars stolen in London last year. It means the trend could pick up after years of declining motor thefts. What a combination! A locksmith has been recycling scrap metal from safes to raise cash for a Plymouth charity. Paul Bushell, of Saltash-based Sir Fix-a-lock, decided that rather than bin old locks and safes, he could sell the metal for scrap and donate the cash to charity. Sales of stands for the 2014 ALEX show have surpassed all previous years with 10 of the 15 stands being sold in the first 3 weeks, Three other exhibitors are now considering their options and checking commitments to exhibit at this show. Handy because there are just 3 stands left!